Packing Size: 28.35" x 50" x 1.85" / 21.85" x 29.53" x 7.01"
24 x 36 Black Banner Pro Sidewalk Sign This 24 x 36 pavement sign with an excellent spring system connected to the black base, is an ideal and safe marketing tool for sidewalk display. It is strongly stable and does not blow over in windy conditions. 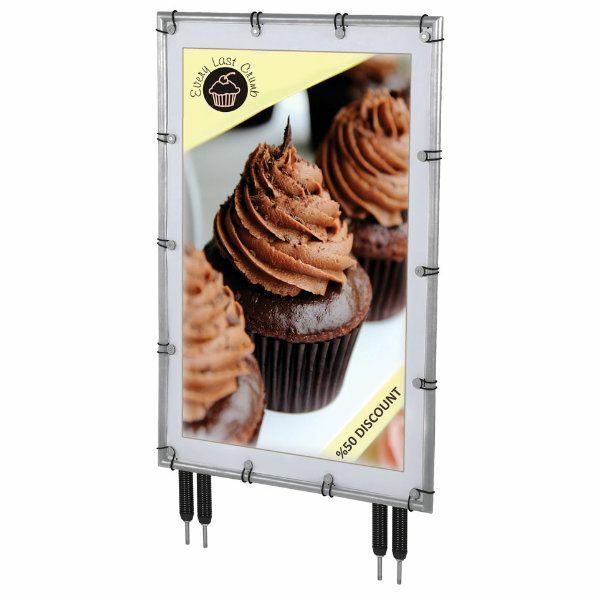 Black finish aluminum frame with a sleek and elegant design grab your images tightly. Water base, made of single moulded propylene in a special rotary press, is long-lasting, flexible and durable. Industrial salt inside of each base prevents water from freezing in cold weather. 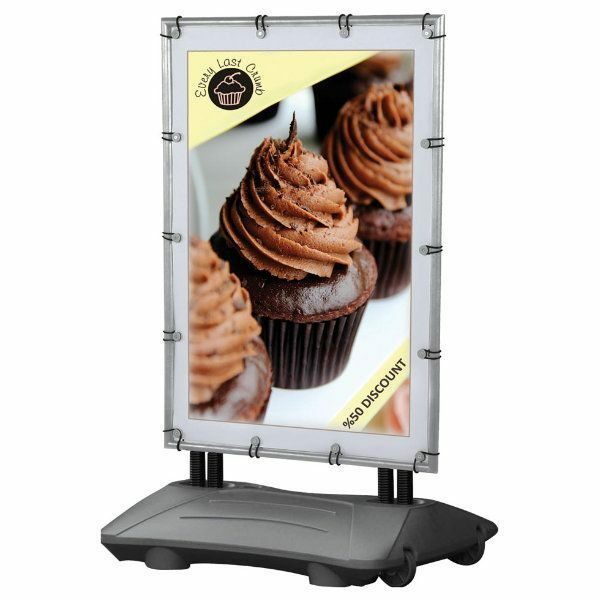 The outdoor display features wheels to make repositioning even easier. 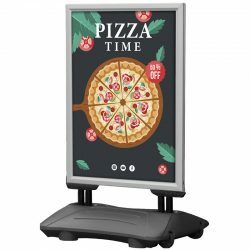 Banner Pro Pavement Signs with Spring Welcomes Your Customers at the door of your store Being suitable for outdoor usage, this banner stand easily can attract people passing by your store, and invite them in. They make a perfect advertising of your products and provide an effective parking space for your customers. They do not blow over in wind like regular sidewalk displays. 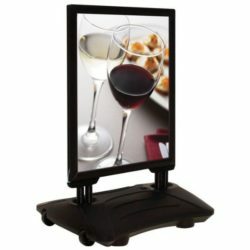 Despite the fact that it is a heavy and stable sidewalk display, it can easily me moved to any place thanks to the wheels. 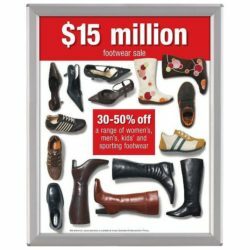 Banner Pro Spring Increases Sales with Effective Advertising Being a double-sided signage, Banner Pro displays your announcements, notices, campaigns and advertisements effectively and captures customer attention from multiple angles. 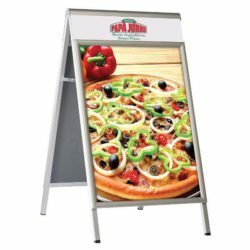 They are ideal to direct outside foot traffic into your caf, restaurant, bakery etc. Displaying your campaigns and promotions with Banner Pro, you are one step ahead of your competitors that are in the same street as your store. 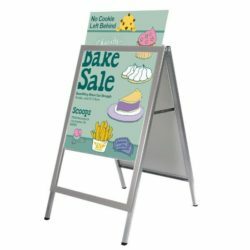 Banner Pro pavement signs, increase foot traffic in your store and hence your sales.These wind masters, are signs beyond a no parking signage.They are perfect means of advertising. 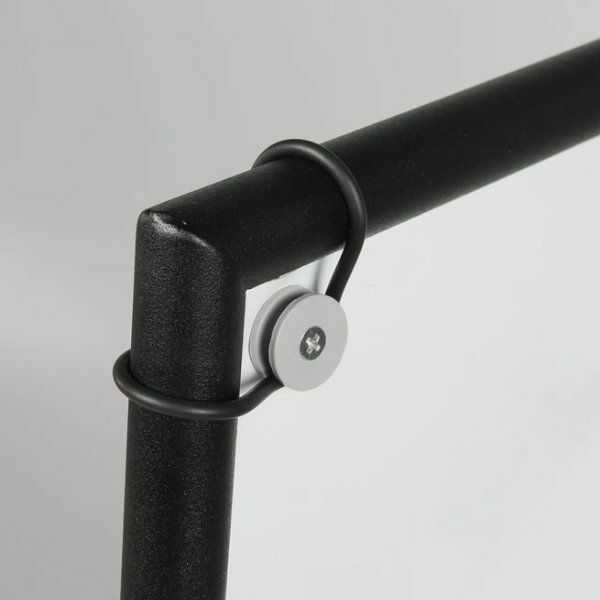 New Generation Solutions for Outdoor Advertising and No Parking Signage Banner pro is specially designed for tightening the vinyl graphics, thanks to the black finish frame that is suitable for clamping the vinyl. 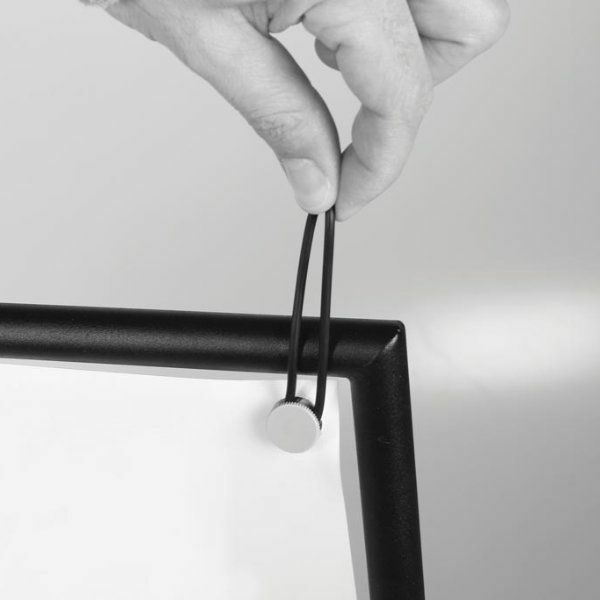 The frame that keeps the vinyl flat and taut is connected to the black water base with screws. Due to oring clips of Wind Pro Banner, it is very easy and practical to stretch any vinyl graphic. 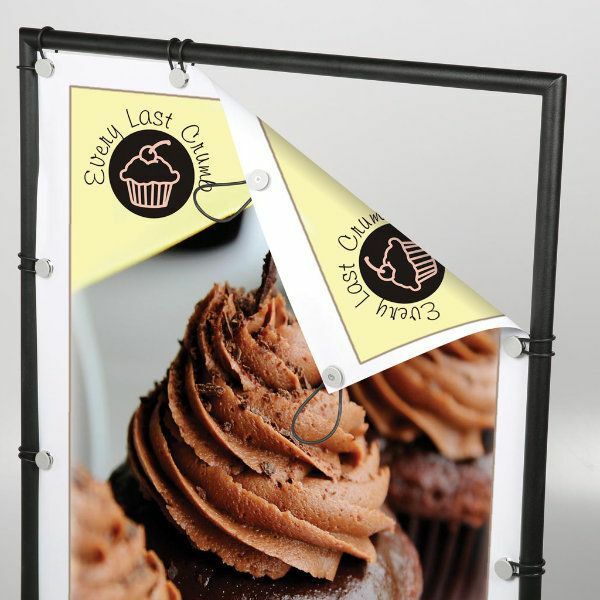 You can use this special design, simple yet classy banner stand effectively outside your store ! This sign works great outside our art gallery. It’s heavy duty and shows up well.